Beer is Better than Woman! Agree! hahaha, What do you think? *sumber gambar : foto dari gambar tembok di dalam cafe PROST, Kemang. 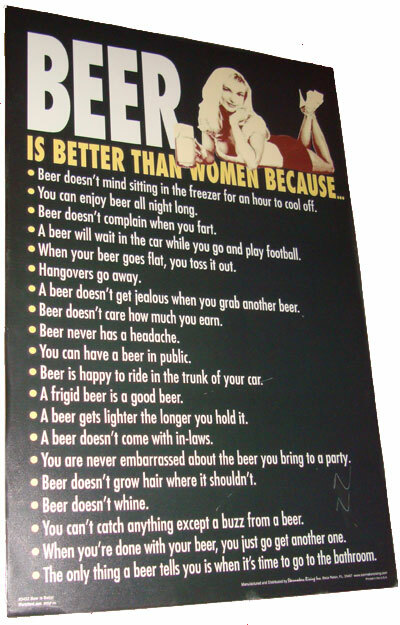 Posted on May 4, 2009 Categories Guyon Goblog27 Comments on Beer is Better than Woman! 5c. Die Hard III With A Vengeance — Kowe Kok Ra Mati2 To? Continue reading Saya di Fitnah! Posted on March 17, 2009 March 17, 2009 Categories Guyon Goblog, Internet, Personal52 Comments on Saya di Fitnah!